The box bags I talked about yesterday will be with hand sanitizer, purse-sized tissue pack, a bottle of water, a package of peanut butter cookies, and Tastykakes. *** If you’ve never had a Tastykake, you’re missing out on some fabulous goodness. My favorites are the Butterscotch Krimpets and the Cream Filled Buttercream Cup Cakes. ***I did not receive any compensation nor am I a paid spokesperson for TastyKake. I just wish I was. This entry was posted in good eats, sewing and tagged box bag, sewing by Patti_is_knittinginflashes. Bookmark the permalink. I never tasted tasty kake. Will have to shop for them. This is such a spiffy idea. I love it. I’m not really a tastykake fan, but yodels?… now you’re talking! I bet the kids loved getting those bags. I know I would have. Awesome job! True story: When I was around 11 or 12 I lived next door to a man who drove a Tastykake truck. It was one of those step vans and it had a huge logo with pictures of large Tastykakes on the sides. The graphics were so good I would just sit and look at the truck in the evening. Whenever possible I would buy those chocolate round ones (with no creamy center). They came three to a package, and I would make short order of them. I still love them to this day but don’t see them much here in Florida, and when I do it’s usually in a gas station and they wind up being a bit stale. Not anything like the fresh ones I used to get, some of which were gifts from my next door neighbor. Geez, now I’m going to be thinking about Tastykake all day. 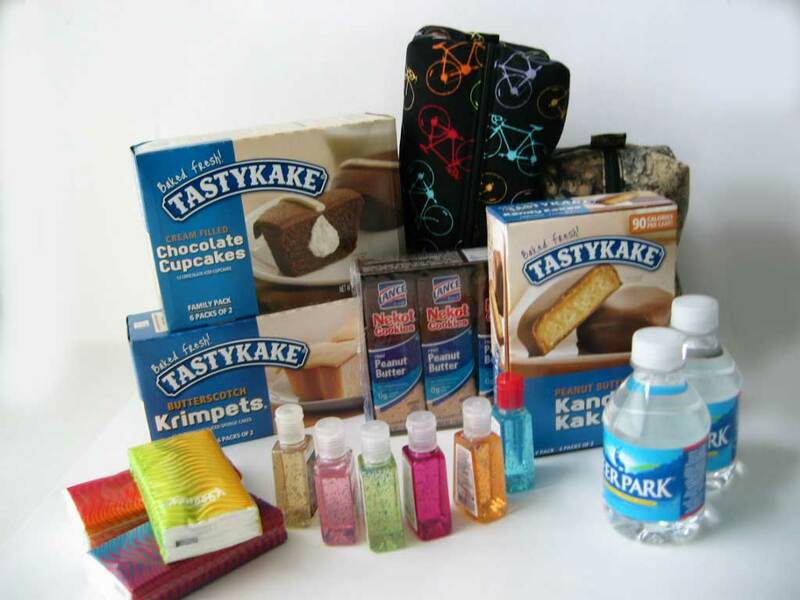 I had never heard of nor had Tastykakes until I went to college. They happen to be on sale this week. Four boxes for $11. And to tell you the truth, I was disappointed in the butterscotch krimpets. They either changed the recipe, the icing or my memory made them better than they really were/are. They’ve changed all that stuff and none of it for the better. They took out everything that made them last forever and taste so good. lol.